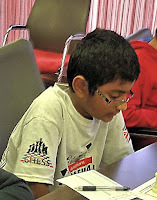 The Norfolk and Norwich Chess Club Rapidplay Congress took place last Sunday. A total of nine Suffolk players were represented amongst the total entry of 82. 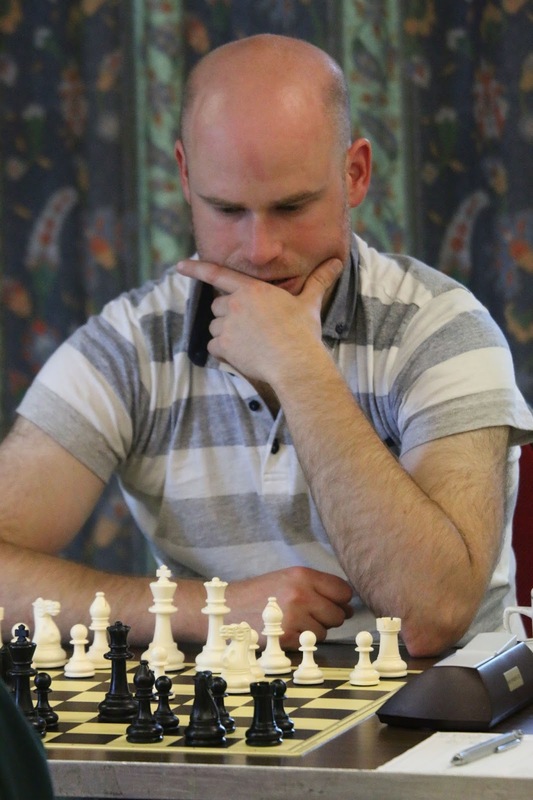 The only Suffolk adult was Ed Player (pictured right), seeded fourth, who 'walked away' with the Open/u160 section of 15 entrants, scoring 5½ points out of 6, a clear 1½ points ahead of anyone else. The runners-up in the Open were Andrew Brett (194), Roy Hughes (187) and Jonathan Wells (175). Ed beat all three. Also playing in the same combined section was 12-year old Alan John (112) who scored two points including a win against a 148 and draws against players graded 155 and 142. There were only seven entrants in the Under 120 section. The lowest graded, 10-year old Adam John (94) (pictured left), scored 4½ points to finish in second place. He lost only to the eventual winner. In the Under 100 section (18 entrants), 12-year old Ralph Martin scored 4 points to finish in equal third place. All nine Suffolk players were from either the Bury St Edmunds club or the Bury Knights Junior Chess Club.